Many customers will have to wait until well into 2018 to get their money back and receive compensation. THE CENTRAL BANK has been urged to take action against lenders involved in the tracker mortgage scandal. Thousands of mortgage customers were overcharged after their bank failed to offer or denied them the right to a tracker. In March this year the Central Bank had said lenders were expected to identify all impacted customers by the end of September. It is estimated that the total number could be as many as 15,000. Over the last two weeks, the heads of these financial institutions have been appearing before the Oireachtas Public Accounts Committee to give updates on their redress schemes. AIB’s CEO Bernard Byrne told the committee that the bank has identified more than 3,200 customers affected by the issue and close to 97% of these customers have been compensated. So far it has paid out €133 million of the €185 million it has set aside to cover the costs of its scheme. Byrne said he did not feel the overcharging was party of “a systemic or organised effort”. “Our overall assessment is that the world changed very dramatically as a result of the financial crisis in 2008. AIB reacted as the whole banking system reacted by suspending the tracker product very quickly as ECB rates collapsed and the ability to use it as a funding source disappeared. “People did not think through the consequences of the suspension of the rate environment around the tracker position at that point with regard to new customers getting that rate. Existing customers who had tracker mortgages obviously continued forward. It was as a result of what happened in the marketplace with ECB rates disconnecting completely from market rates. We are not surprised that occurred across the system. Everyone had their own challenges with regard to how they implemented that and clearly most people got it wrong with regard to the follow-on consequences for other customers. Sinn Féin’s Pearse Doherty told Byrne the decisions which led to this scandal were not made by “the lady who is across the counter” in a bank. “We can call it whatever we want, but it was theft. The bank wrongly took money to a minimum total of tens of millions of euro from its customers and nobody will be held accountable. That is wrong. It will happen over and over again. Nobody is ever held accountable in the financial system and that is ridiculous,” he said. Last Thursday Permanent TSB revealed that 125 affected customers are still on the incorrect rate and that 32 families have lost their homes because of the overcharging. In total, the bank has identified 1,951 customers affected by its error. The Finance Committee was also told by KBC Bank’s chief executive Wim Verbraeken that it would miss the September deadline. This week members of the committee also grilled Gerry Mallon, Ulster Bank’s CEO who revealed the number of affected customers now stands at 3,500. All of these customers have been returned to the correct rate, but fewer than 40 have received compensation and Mallon said this process will run well into 2018. He pointed out that “if the shoe was on the other foot” and customers owed the bank money, it would be actively pursuing them for it. Mallon said he wished to reiterate previous apologies on behalf the bank and told the committee he could understand the frustration felt by customers. However, he described the process as “complex” and said Ulster Bank has a team of more than 200 people working on its redress programme. He denied a suggestion from Pearse Doherty that the bank was “dragging its heels”. Speaking to TheJournal.ie, the Sinn Féin TD said it is clear to him that the bankers who have appeared before the committee “do not understand the loss that is happening”. Doherty said the Central Bank needs to “flex its muscle” and put pressure on the banks to expedite the redress process. He also urged on Minister for Finance Paschal Donohoe to “call the bankers in” to explain themselves. I genuinely feel this is the biggest financial scandal of our time. There is no way the banks can ever put this right. If it was anything else bar the banks there would be a massive outcry in the country, but because it’sbanks they get away with it and they’ll continue to get away with it. Bank of Ireland told TheJournal.ie it has identified 602 accounts where a right to, or the option of, a tracker rate of interest was not provided to the customer in accordance with their loan documentation. All identified customers have been returned to tracker rates. “We are focused now on making things right for any impacted customer and the redress and compensation process will commence over the coming weeks”, a spokesperson said. A spokesperson for Danske Bank said its review of tracker mortgages is proceeding “according to plan”. “At this stage the bank review is ongoing,” they added. It also referred to a recent response to questions put to it by Fianna Fáil’s Michael McGrath in which it committed to taking supervisory action up to and including enforcement action where there is evidence of non-compliance with regulatory requirements. 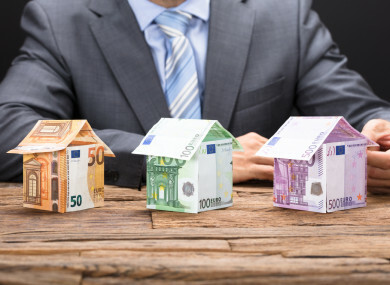 The response noted one enforcement investigation in respect of tracker mortgage failures which resulted in a monetary penalty of €4.5 million for one entity. Two other tracker-mortgage related enforcement investigations are ongoing. The Central Bank said the governor is scheduled to appear before the Oireachtas Finance Committee on 19 October and it will be publishing another update on the progress of the examination in advance which will respond to more specific queries. Email “Central Bank urged to 'flex its muscle' with banks over slow progress in tracker mortgage scandal ”. Feedback on “Central Bank urged to 'flex its muscle' with banks over slow progress in tracker mortgage scandal ”.